Introducing the new EZ Fabric Counter display, developed to combine convenience and show. Leave your tools at home because this unit is completely toolless. Push button snaps connect the lightweight aluminum framework together. Slip the fabric over the frame, hook and loop the fabric piece underneath and zip shut the backside. attach counter top. Graphics available on front, back, sides and top. 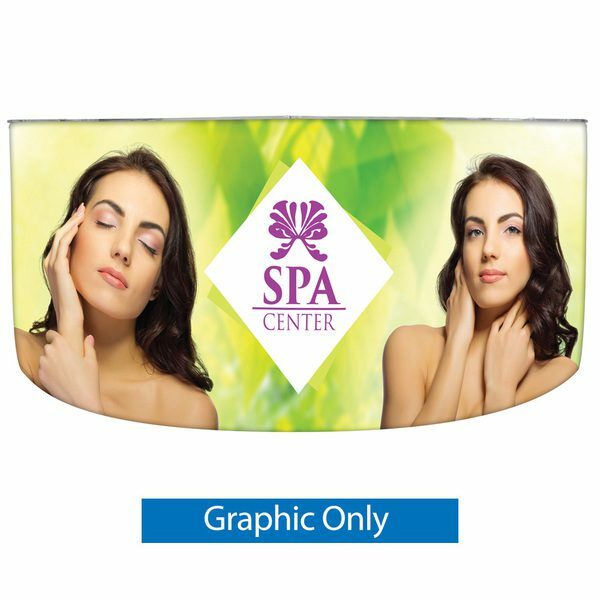 See your printed graphic through the frosted acrylic counter top piece! this fully enclosed unit unzips to make for a convenient spot to hide stuff. Carry Nylon Bag included.